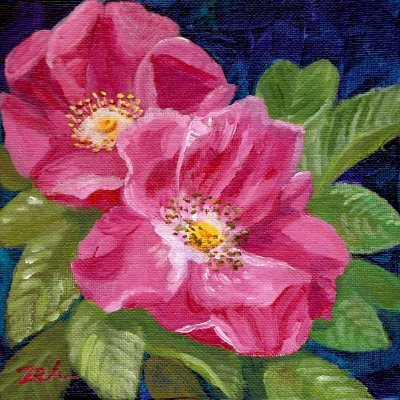 I love painting these pretty roses in New England seascapes as they grow wild along the shoreline. But I grow them in my garden as well. They grow so well in full sun that I have to keep pruning them back to keep them from over-running the other shrubs. They're a beautiful subject for a painting, don't you think?